Mr. Sirichai Sakornratanakul, the Vice President of Export-Import Bank of Thailand (EXIM BANK), opened the training on the topic of ?? ?Understanding Corporate Social Responsibility? ?�, which was part of the bank?? 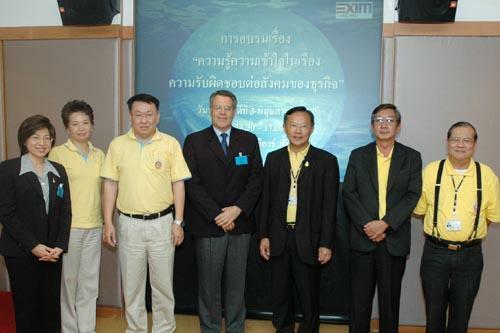 ?s CSR Activity 2007, presented by Mr. Paul Wedel, the Executive Director of Kenan Institute ASIA, at Export-Import Bank of Thailand (Head Office), May 3 2007.